This week I am excited to welcome Lahana Vigliano, certified holistic nutritionist, as a guest blogger for Tandem Speech Therapy. She is the owner of Thrival Nutrition in Austin, TX. Lahana helps women and men who struggle with weight loss, hormonal imbalances, and gut issues as well as helping families develop a healthy lifestyle. During the first couple of years of a child’s life, his/her brain is developing significantly. It’s amazing what they can learn and start doing in the first few years of life! Nutrition plays a major impact on developing the brain throughout childhood because food is ultimately our fuel and what our body uses to grow, sustain, and excel. So, I’m here to help you not only nourish your kiddos, but to help with achieving awesome brain development! Let’s dive in! Our body breaks down fats into fatty acids. 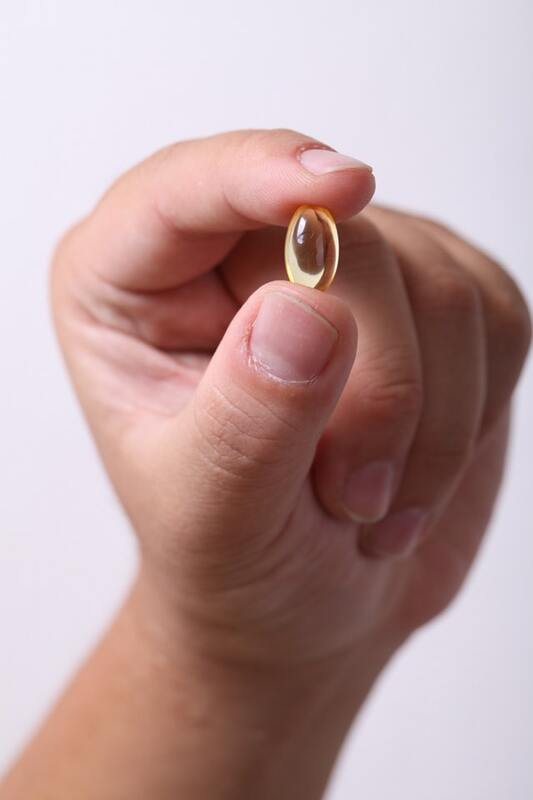 Some of the most studied fatty acids in brain development are certain omega-3’s, like DHA. DHA is one of the most important fats in the brain structure and function. It’s role in the brain are development, regulating inflammation, memory formation, gene expression, and influences enzymes and receptors in the body(2). DHA also plays a role in neurotransmitters, like dopamine, serotonin, which influences our moods and behavior. If children don’t get enough DHA, the Journal of Pediatric Gastroenterology + Nutrition(1) states that the development of the nervous tissue and neurological function can be altered, as well as visual signaling pathways. Since we can’t make DHA in our body, we strictly rely on getting it from our diet. Food sources that are loaded with DHA are wild caught fish like salmon, sardines, tuna, cod liver oil, and algae. DHA is also naturally found in breastmilk, which is the number one source of nutrition for infants. DHA in breastmilk is reliant on the DHA intake of the mom, so moms need to make sure they are eating enough fish and/or supplementing with a good DHA/EPA omega-3 supplement to make sure their breastmilk is loaded with this brain developing nutrient! Zinc is another nutrient that plays a role in nervous tissue development, regulation of neurotransmitter release, and myelination. Myelination is where a myelin sheath forms around a nerve to make nerve impulses move throughout the body quickly + efficiently. When children are deficient in zinc, it can take a toll on their behavior, learning, moods, and attention (3). Food sources that are high in zinc are pumpkin seeds, hemp seeds, grass-fed beef, chicken, oysters, legumes (which proper preparation of legumes are needed to release the anti-nutrients that can hold back the absorption of zinc), eggs, and dark chocolate (80% dark or more!). The best quality food sources of B12 are through grass-fed beef, wild caught fish, organ meats, lamb, and eggs. If you want to supplement with B12, make sure that you find a supplement with the methylated form of B12, which is methylcobalamin. This is the most bioavailable of this nutrient. Iodine helps synthesize the thyroid hormones in all of us! Thyroid hormones are important for brain development because when thyroid function is low, there is an increased loss of concentration and memory. Iodine deficiency also is linked poor formation of neural dendrites and synapses. Dendrites expand from the center of the neuron and receive electric messages from neuron to neuron. We want to have good communication between the neurons. Since most of the iodized salt (table salt) is super processed, some of the natural foods to get iodine are seaweed (yes, those seaweed snacks are awesome! ), certain fish like tuna + cod, eggs, and raw grass-fed cheese. While choline is needed for all of our cells, it excels in nourishing our brain. Especially the hippocampus part of our brain. In the Journal of the American College of Nutrition (5), it showed that when rat pups were given choline, brain function changed resulting in memory enhancement. The Journal of Pediatrics(6) also stated that choline was needed for the structure and signaling in cell membranes and the making of neurotransmitters. Remember, these influence moods and behavior. Some of the best sources of choline are eggs, animal livers (like beef + chicken liver), and breastmilk! Iron is a necessary nutrient for brain development, as it’s a part of neurotransmitter synthesis and the development of the brain. In a study that was done in the Journal of Nutrition(7), it compared rats that were iron deficient versus rats that weren’t + there was a significant difference in how the brain developed with white versus gray matter in the brain. Neurons were different and dendrites were different. I always recommend eating both sources of iron – heme iron coming from grass-fed, good quality animal meats + organ meats and also non-heme iron, which comes from spinach, quinoa, pumpkin seeds, dark chocolate, and legumes. I don’t recommend supplementing with iron, IF POSSIBLE. I love using real food sources of iron versus the supplement form. Bioavailability is the best in real food form + reduces the risk of too much iron, which can cause issues as well. 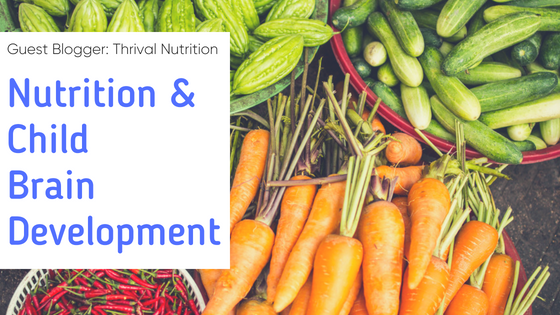 It’s amazing to see the different nutrients that are needed to support healthy brain development and function. I know we all want to see our kids thriving, smart, and behaved – that’s the dream right?! It all starts in the home and what we put into their bellies. 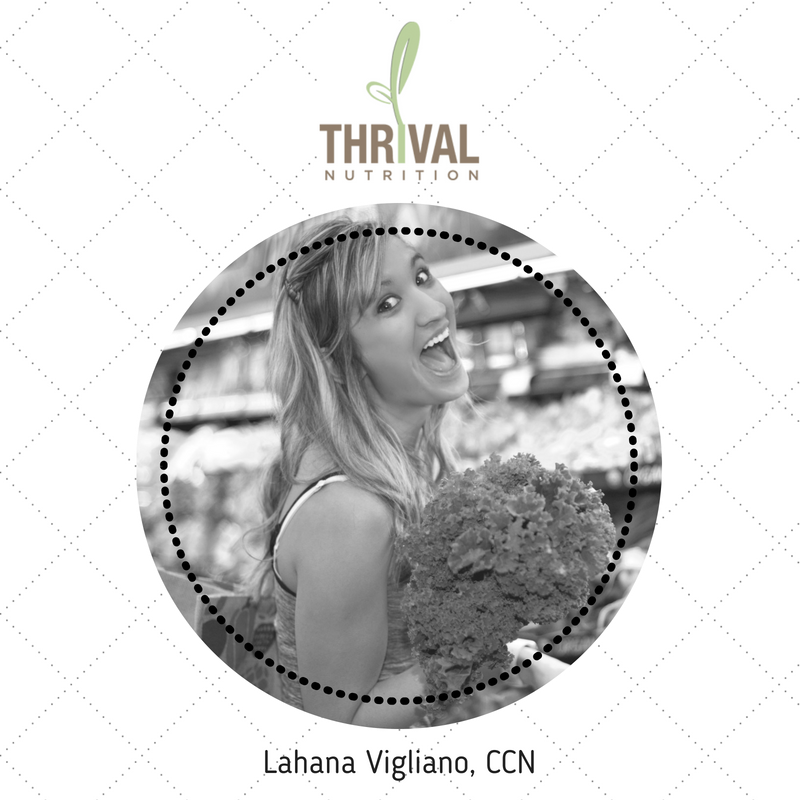 Lahana Vigliano is a holistic board certified clinical nutritionist and the founder of Thrival Nutrition. She helps women and men that struggle with weight loss, hormonal imbalances, gut issues, and also helps families develop a healthy lifestyle. She takes your biochemical individuality and ancestral roots to help you create a lifestyle that’s perfect for you + that you can sustain forever. She is the host of the Thrival Nutrition Podcast and creator of the Thrival Nutrition Supplements. Find her on Facebook (www.facebook.com/thrivalnutrition) + Instagram (www.instagram.com/thrivalnutrition) + Her Blog (www.thrivalnutrition.com). Outside of Thrival, she is a wife and mom of two. Need support for your child's development?